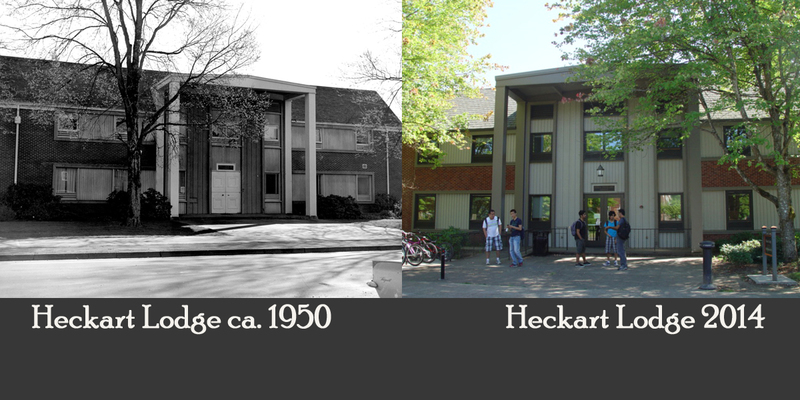 Heckart Lodge has seen a lot of different tenants. From serving as a men’s Co-op in the 1950s to housing INTO programs in 2014, it has been adapted to fit a variety of needs over the years. For the last several years, however, one piece of the building has stayed the same. Carmen Twenge at the Testing Center desk. Carmen started working with DAS in May 2014, after many years working with the Special Education & Standardized Testing programs in the Corvallis School District. Follow the “Quiet Zone” signs up to the third floor. Don’t forget to silence your cell phone, because you’ve found the Disability Access Services (DAS) Testing Center. Since it’s opening in 2012, the DAS Testing Center has hosted hundreds of students and thousands of exams. Before DAS was given the space for the testing center, students who received testing accommodations from DAS were juggled from one location to another. Proctors would be responsible for bringing the test and any provided materials to whatever room DAS was able to reserve. This meant a lot of time and energy went into finding and preparing a space for an exam, not to mention extra stress for the student who never knew where the next test would be. New mirrors in the testing rooms allow proctors to see every student from the doorway. Now, almost every exam handled by DAS is proctored at the Testing Center in Heckart Lodge. Students sit in low-distraction testing areas within a larger testing room with at least one proctor or DAS staff member, like Testing Center Coordinator Carmen Twenge, monitoring the room. Having a designated testing center has allowed much greater flexibility with testing accommodations. Students who at one point would have had to take exams in the main DAS office - which is often very busy and not conducive to focusing on a test - now are able to access the assistive technologies they need without dealing with the distractions of a department office. Computers at the Testing Center are equipped with software that, among other things, will read exams to students, allow blind students to hear descriptions of images, and take dictation for students who have difficulty typing or writing their answers. An enlarger for low-vision students, and a braille keyboard for students who are blind are both provided at this testing station. The Testing Center benefits faculty as well. Having a permanent testing location for student who receive DAS testing accommodations reduces the hassle and confusion for faculty - answers to questions about testing accommodations can always be found in the same place. And DAS hires OSU students to be proctors at the Testing Center. They make sure that students are taking their tests honestly, prepare folders for the printed exams, and pick up or deliver exams all over campus. During the year, DAS Testing Services could have anywhere from 8 to 20 student proctors working at the testing center. During the 2014 University Day at OSU, staff and faculty had a chance to visit and tour the DAS Testing Center at an open house hosted by the Testing Services staff. It was a great chance for faculty members to see what kind of facility their students have access to, and for them to ask questions or provide feedback. There will be a second opportunity to provide feedback at a second open house on October 7, 2014, from 11:00 am to 2:00 pm. Want to learn more about DAS or the Testing Center? Contact our office.